Realized I haven’t posted anything in forever! Sorry about that. So, here’s a piece of personal art I did a little bit ago, just for the heck of it. I call it Ten ‘O Clock Magic. Because midnight might be the witching-hour, but it doesn’t have the market cornered on enchanted time. “A Drop of Ink Preserved in Amber” is out on the Shimmer website. It has the distinction of being the final Shimmer story for 2015 (I’m look forward to more great stuff from Shimmer in 2016!). Click here to access the full story for free. The Prayer Ladder is up at QuarterReads! The ladder stretches up and up before me. Into the sky, past the clouds – past the sun, perhaps. I cannot see the top, but I know it ends in Heaven. Chill winds sweep the ice covered mountain, and I hunker into my coat of caribou skin. The sleeve of my left arm is too long – Mama meant it to last me another two winters. The other is capped next to the stub of my right elbow. The sack full of my village’s prayers hangs lightly around my neck. Hundreds of little scrolls fill the burlap, written in hands both illegible and refined. Once every five years the prayers are carried to Heaven. Once every five years a citizen leaves and never comes back. And now it is my turn. You can read the rest (for only a quarter!) by clicking here. So, my plan was to do a LoneStarCon 3 overview today, but alas, I feel I am too late. There are already a ton of rehashes all across the web focusing on everything from the lack of a YA Hugo , to the overall older vibe (google it and take your pick), to how it stacks up against other cons. What could I possibly bring to the table when we’ve already got an embarrassment of riches (ie. blog posts)? I’m here to give you the one thing I learned at Worldcon that trumps everything else: the five minute rule. What is that, you ask? Is it like the five second rule? Er, no. Whenever you are about to leave a social area of the con–say you’re sleepy and want to call it a night–wait five minutes. If you do, someone interesting will inevitably make an appearance and talk to you. The first time it happened we (a group of us from the Writers of the Future forum hung out a good chunk of the time) were at the hotel bar just as it closed. The staff were ‘encouraging’ us to leave, and we thought it best to comply. However, we lagged, and the lady taking out the garbage bins kind of barreled through the crowd–inevitably pushing us (literally) into Lou Anders from Pyr. He was great to meet. I had attended several of his panels that day, and ended up going to several more. We ran into each other on other occasions during the con, and each time was a pleasure. The second time I encountered the phenomenon, the group of people I was with had just decided to head to bed, but as it was nearing two (or was it three?) in the morning, we were all moving rather slowly. Within five minutes, an editor form Orbit (who shall remain unnamed, as it seems this is one of her favorite con games) came and sat at our table (led there by a friend). She immediately asked us all to pitch our books, and was kind enough to critique our attempts. If we’d left when we’d decided to, we would have missed out. So, anyway, that’s my unique Worldcon observation: when you think it’s time to go, wait five minutes. You never know who might make an appearance. All kidding aside, Worldcon is primarily about people–meeting new people, and reconnecting with colleagues you already know. That’s why it’s essential to hang around after hours, and if you’re an introvert like me, to step out of your comfort zone for a while. Do you have a unique Worldcon observation? If so, let me know in the comments! Below is a video clip from the Vol. 29 Writers and Illustrators of the Future awards ceremony. It contains an introduction to my story, the wonderfully quirky dance choreographed for it, my thank you speech and Tiffany England’s thank you speech. Enjoy, get inspired, and enter the contest! Alrighty, for all of you waiting for a system to essentially fill the void Duotrope left, I know of two. One is still in the works, and one made its début in beta-mode this week. First we have Submitomancy, and it’s an interesting option. It will charge fees like Duotrope, but unlike Duotrope will have a lot of free features. Its Indiegogo page (which is like Kickstarter, for those who don’t know), states that its submission tracker will be free, and that “Premium users will gain the advantage of full library features, power searches and social interactions.” So it’s aiming to be a Duotrope replacement and social-networking site all in one. Free gets a manuscript database, CSV import, their basic search function, submissions tracking, average response times per market, and their newsletter. If you pay their annual premium fee, you get access to the above, plus their ‘expanded databases,’ a ‘power search,’ detailed market response data, personalized notifications and reports, a profile page, status updates, skins, and anything else they might think to add between here and there. The Submissions Grinder is another option that launched this week. Remember that backup file you downloaded from Duotrope, that has all of your data but in a rather unusable form? No need to reformat the spreadsheet, just upload it now into the Submissions Grinder. This system’s creators (It’s brought to your by Diabolical Plots) intend to keep it free, and it currently offers just about every feature Duotrope does, with a few minor exceptions (that I think will get filled in as they go along). Right now, though you can import, you can’t export your data again, but they have stated they’re working on that. And when viewing your submissions history you can’t narrow down your submissions by year. The system is in its rough beta mode right now. Errors pop up frequently, but let’s face it, they’ve only been up for three days. The pending responses data is already beginning to rival Duotrope’s pre-paywall era on some markets (after only three days! ), though their market database isn’t yet fully formed. I’ve already made myself an account, uploaded my data, and made a few mistakes as a user–the proprietors are extremely helpful and ready to jump on any problems you might have, no matter if you or the site are at fault. The real key to any of these sites are the users. The fewer people who use them, the less valuable they become to some people. What’s really great about these new venues, compared to Duotrope, is that they have options that are free. Sumbitomancy is going to charge service fees, but they know that to attract new users you have to let them try out the system. I have no idea why all of Duotrope’s services are behind a pay-wall, as there’s no way for new customers to test the waters–so there’s no justification for them to pay for the service. You’d think DT would at least offer a trial period for new accounts or something. Anyway, what we have now are tiered options, in my opinion. On the high end: (price-wise, not necessarily service-wise. I’ll wait to make that judgment once all three are up and running), we have tried and true Duotrope. Nothing is free, in my opinion it’s overpriced, but it’s aesthetically pleasing, it works, it currently has the largest database as far as markets go, and it’s practically bug-less. Next we have Submitomancy, which has free subscriptions and pay-to-play subscriptions, leaving things like its sub-tracker free to the public, and with extra features Duotrope does not offer in its pay brackets, but it’s not up yet, so we don’t know if its virtues are all that its proprietors hope them to be. Lastly we have the fully-free Submissions Grinder, which gives you nearly all the same features as Duotrope at this point, plus the ability to import the data you saved from Duotrope, but is probably going to be buggy for a while and it’s a bit hard on the eyes. So there you have it: options. Choices! If you do use one of these new systems, let me know in the comments how you think it stacks up! 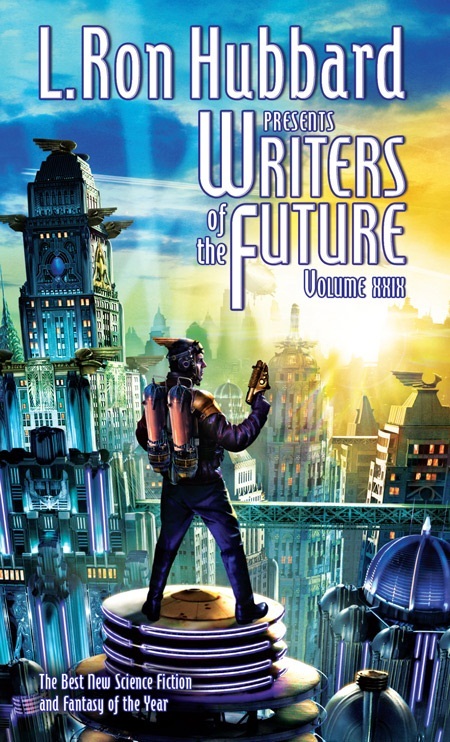 I hear results for the fourth quarter of the Writers of the Future contest are going out. Though I’m no longer in the running, these results are still exciting to me, because they define who I’ll be attending the workshop with. I want to know who else is in my graduating class, so to speak. So, congrats to the finalists! And for those of you who’ve received rejections, HMs, semis or silvers, keep plugging away. The only way to guarantee you don’t win is if you don’t enter! Speaking of finalists, as of this posting we still don’t know who the winners of Q3 are. Inquiring minds want to know. Hopefully I’ll be able to post an addendum in the next few days with a list.